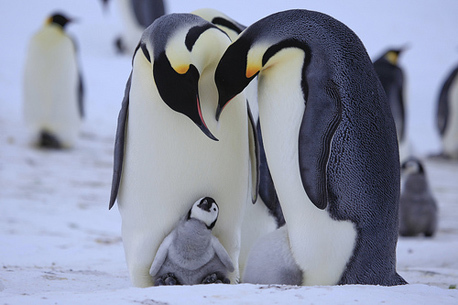 Television viewers captivated by the penguins in last night’s opening programme of the hidden camera series Spy In The Huddle might already be thinking of planning their own visit to Antarctica. Hurtigruten are certainly hoping so. Quick to cash in, they are plugging next year’s voyages on expedition ship MS Fram, with three landings at penguin colonies during 10-day cruises departing 4th and 13th January, 2014. Better start saving now. Fares start at £4,089. International flights and hotels in Buenos Aires, plus domestic flights to join the ship in Ushuaia will add another £1,700 or so. If that’s beyond your reach, there are another two episodes of the TV series, which uses technology developed for the series Polar Bears – Spy On The Ice. Or you can warch the trailer below and catch up with Episode One of Penguins – Spy in the Huddle, here.